I want to start by talking about some of the inventions that shaped the lives that we as humankind have today. So let’s start with clean water and sanitation. Since 1990, 2.6 billion people have obtained access to a cleaner water source globally. At that run rate, it’ll be another 2000 people before I finish speaking with you today. Vaccination. In the last 30 years the percentage of infants vaccinated against diseases like tetanus and whooping cough has grown from about 40 to over 85%. Smallpox is gone, polio is almost gone, and many, many others are on the run. Antibiotics. My grandfather was born in Ireland in 1897 and as a young man he got a small infection under his fingernail that got completely out of control and his whole arm had to be amputated. Today that would have been entirely preventable with antibiotics. These are just a few of the things, along with access to energy, that give us the lives we know today. And we’ve made enormous progress ensuring the world’s poorest people gain more and more access to these basic services that many of us in the developed world take for granted. I’ll talk more about energy in a moment, which is a topic I care deeply about. It’s important because 80% of the world’s population now have access to electricity. Now that number has grown enormously over the years as economies have developed all over the world. 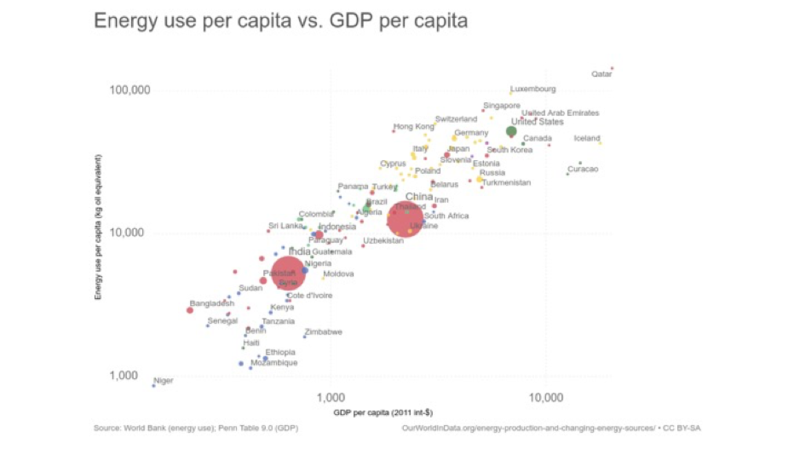 And it’s key because as you can see, energy use per capita is very highly correlated with GDP per capita. We see the opposite effect when we look at energy use per capita correlated with share of the population in extreme poverty. So, in plain language, having access to energy drives economies forward and vice versa. And that means more people with more money in their pockets that allows them to go and be empowered and get access to the basic goods and services I just described that improves their quality of life. That includes things like smart phones with data plans so they can go and watch this TED talk. But there is a problem. Three quarters of global energy demand today is provided by fossil fuels – coal, oil and gas. Global reserves of these fuels are absolutely enormous, and estimates vary on this a bit, but global energy demand between now and 2050 is likely to decline a little or grow a lot. And that is a big problem because as all of you know, we have this enormous threat of climate change, and the global carbon budget is incredibly important. As an international community, we have signed up to a climate change target of just 1.5 degrees. Unfortunately, it’s unlikely that we’ll get there. If we take an extreme scenario, if we were to burn all the fossil fuel reserves I mentioned a moment ago, the climate could warm by 18 degrees in the coming three centuries. Even taking a less extreme scenario, missing the 1.5 degree target is a big, big deal. 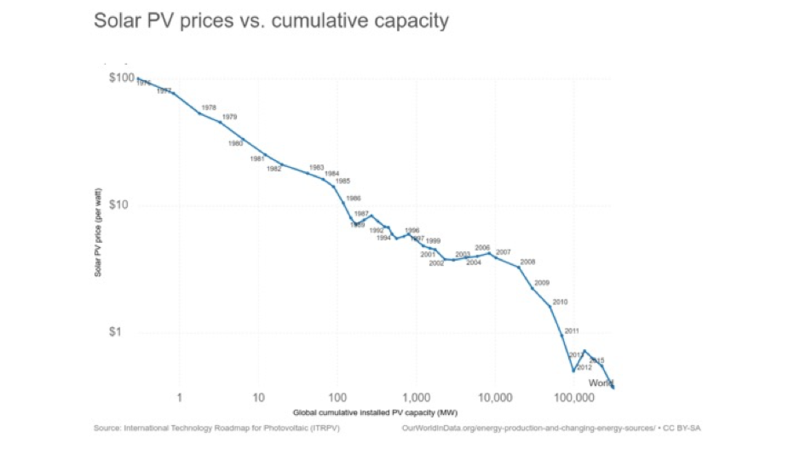 Renewable energy prices continue to fall exponentially. And I mean fall below what any of us in the industry even thought was possible just two years ago, it’s absolutely incredible. Renewable energy generation is now the cheapest form of new electricity generation. Fact! The cost just keeps falling and falling. And we know that renewable energy generation will be the largest share of new electricity generation to be added to grids worldwide because it’s getting cheaper and it’s getting better. That includes batteries and electric vehicles and other technologies designed to help integrate renewable energy into the grid. Will all of that be enough? Probably not. Our politicians are balancing what is possible with what is affordable with what’s acceptable. But unfortunately, while it’s moving in the right direction, it’s just not getting us there. And this is why we need to be worried. 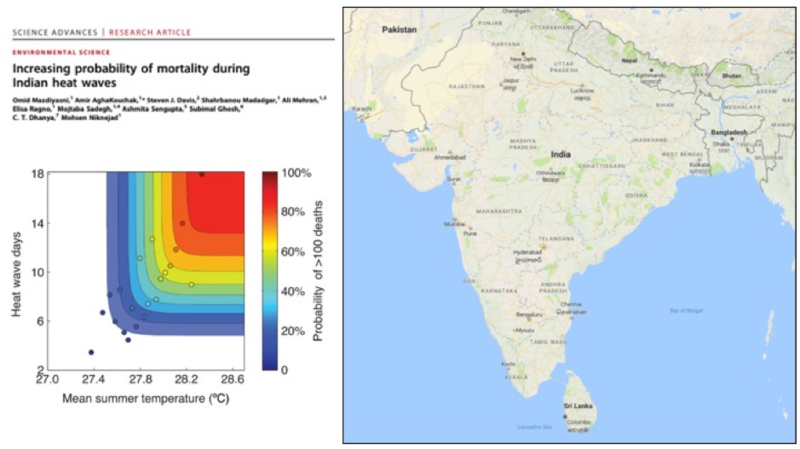 This study that was released recently looked at as you get warmer temperatures and longer heatwaves you get to a point where people die from heat stress. Today – this is not some futuristic picture, this is happening right now in a part of the world home to one fifth of the world’s population. If we don’t get this under control we will have major problems because human life is not compatible with heat stress. If we were to get warming of, let’s say, 10 degrees, the area of land made uninhabitable due to heat stress would make the area of land uninhabitable due to rising sea levels (which we always hear about) look small. So we need a different approach to tackle this huge global problem. And I’d like to go back to some moments in history to examine moments of change and look at this problem in that context. In 1215, King John signed the Magna Carta, which was the first step in putting power in the hands of the people. Prior to that, feudalism was the model where whatever the King said went. The King could lock you up or kill you or whatever he wanted. Jump forward a few centuries to the 1600s and Europe was at war. And following that, the concepts of nation states and international law was created. The idea was that nations should have sovereignty over their borders and domestic affairs. At around the same time the early forms of the modern corporation were emerging, where nations created companies such as the Dutch East India Company. So what you can see is the concepts of the consumer citizen, the corporation and the nation state had emerged. While we’ve seen lots of change since then, perhaps no change so significant as what we’re seeing now. 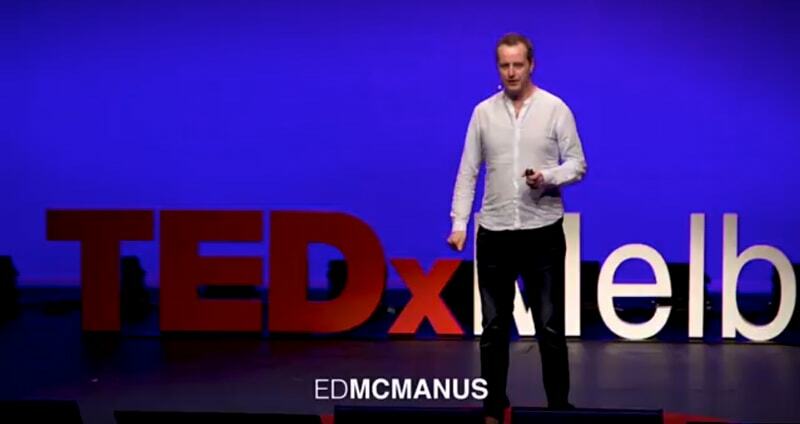 As a result of technology driving information transparency and connectivity, what we’re seeing now is Magna Carta 2.0, and it’s changing how corporations and states interact with consumer citizens all over the world. I think this change of putting power back into the hands of the people will be required to tackle the problem I discussed. And there are some examples of Magna Carta 2.0 playing out right now in energy, and I’d like to talk to you about those. So in India 240 million people have no access to electricity, despite enormous progress in recent years, it’s a huge problem. And in that context, Pollinate Energy is a social enterprise that is rolling out solar lighting and other sustainable products to over 100,000 people. I like this example because it shows what can be done, as well as the size of the challenge. Jump now to Africa where 800,000 people have had their lives impacted by renewable energy in Mali, Western Africa. This is due to the great work of the Mali Folk Centre who are rolling out renewable energy projects on the ground. So think about this, if that’s possible in Mali where only 30% of people have access to electricity in the first place, what’s possible here in Australia where our GDP per capita is 64 times greater and we have a well-developed electricity system. Well about an hour from here in Melbourne there’s a community-owned wind farm called Hepburn Wind. They own two turbines, and those turbines generate enough electricity every year for 2000 homes. It’s a wonderful story. I know the challenges of financing, building and operating wind farms, and I love the story of Hepburn Wind because the company I run is working in partnership with Hepburn Wind to help them develop their goals. Well let’s do the maths. So here’s Hepburn Wind (it’s about an hour from Melbourne as I mentioned), and about 25,000 people live within 25km of that community-owned wind farm. 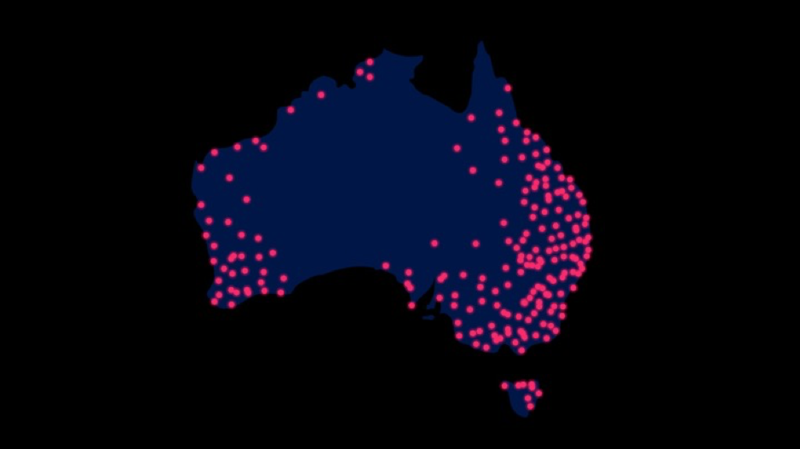 Australia’s got a population of 24 million, so there are about 1000 similar-sized communities all across Australia. By coincidence, there are 1000 of you here today. If just one quarter of those communities were to develop a similar-sized wind or solar farm in their community, we would have added the capacity of a coal-fired power station to the grid. Now think about rooftop solar, which many of you will have. 1.5 million homes across Australia have rooftop solar and every time we get another 200,000 installations, we add the capacity of a coal-fired power station to the grid. This revolution won’t just be on the supply side. Technology is changing and empowering consumers of energy and electricity more than ever before, as we see happening in many sectors across the economy. The company I run is trying to make a contribution in this area by trying to provide information, transparency and choice to consumers of electricity where they just did not have that before. So in 1215 King John knew things had to change. We’re in a similar position today, and the change today is being driven by technology. For the first time, large numbers of stakeholders can influence how nations and corporations act. In fact, there’s enormous opportunity for corporations to go and partner with consumers, communities and stakeholders. And those stakeholders are you sitting in that chair or watching this video. Now is the time. And if I could share one last idea with you it is that you have the power in your hands. Now is the time to make a contribution. Get amongst it, because if all of you do, we do stand a chance.